Develop awareness and understanding of a range of skills and processes related to design, facilitation, and evaluation of OEE programming and curriculum? 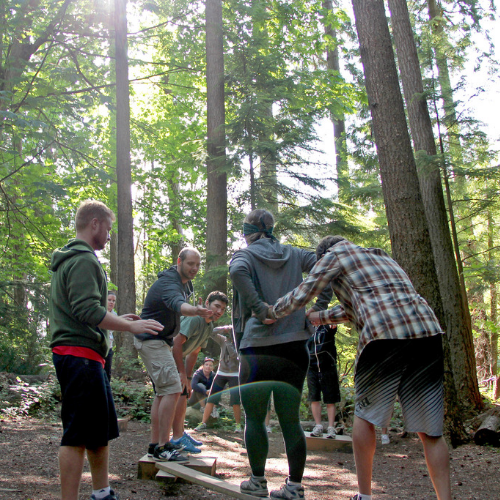 The UBC Outdoor Environmental Education (OEE) diploma program is designed for teachers and other professionals who wish to specialize in using the natural outdoor environment for integrated learning experiences. The OEE courses will help educators incorporate outdoor learning into their daily practice incorporating place-based learning, nature learning and sustainability learning. The curriculum will support educators in facilitating outdoor learning experiences that enhance their students’ knowledge and connections to the natural world. The diploma program includes 12 credits of required courses, and 18 credits of pre-approved electives. Students must complete a cluster of courses in OEE which may be selected from any of the thematic areas. NOTE: A maximum of 12 credits may be used for transfer credit to the Diploma in OEE from another post-secondary institution, such as TRU Open Learning or Athabasca University, which are 300-400 level. These must be approved by the UBC Program Coordinator. A minimum of 3 credits are required from this section. Additional credits from this thematic area may be used as electives.